A non-adherence to a strict diurnal or nocturnal activity cycle is prevalent among mammals, including taxa of Lemuridae, but rare among other primates. 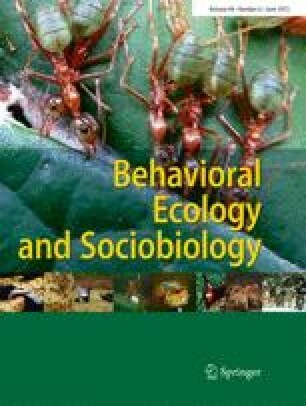 While non-mutually exclusive ecological hypotheses attempted to explain the evolution of this activity, termed cathemerality, as either an old or a recent phenomenon, the scarcity of systematic data collected over 24 h limits our potential to explore its proximate and ultimate determinants. Among strepsirrhines, systematic studies involving only two lemurid genera (Eulemur and Lemur) have recorded this activity pattern, while fewer quantitative observations are available for other taxa. If cathemerality could be shown in most members of Lemuridae despite their different ecological adaptations, this would support the hypothesis that this trait is basal and appeared early during lemurid evolution. Here, we investigated whether the folivorous southern bamboo lemur (Hapalemur meridionalis) exhibits cathemeral activity, and determined which environmental factors influence its pattern. We deployed ten archival tags across four social groups to continuously record activity data over a 15-month period. This allowed us to generate a diurnal/nocturnal (DN) ratio for each 24-h period and assess their diel activity. Our data suggest that southern bamboo lemurs are cathemeral within Mandena; while climatic factors showed no influence, nocturnal activity increased with greater nocturnal luminance. Despite contrasting dietary niches, visual morphologies, and body sizes between Hapalemur, Eulemur, and Lemur, all three exhibit cathemerality and lunarphilia. The close phylogenetic proximity of these lemurids supports this flexible activity pattern as an ancestral trait that likely dates to the origin of the Lemuridae radiation. This work was carried out under the collaboration agreement between the Department of Animal Biology of the University of Antananarivo and the Department of Animal Ecology and Conservation of the University of Hamburg, and QIT Madagascar Minerals (QMM). We thank the Direction du Système des Aires Protégées and the Ministère de l’Environnement et Forêts of Madagascar for permission to conduct research. We are grateful to Jacques Rakotondranary and Tolona Andrianasolo for obtaining our research permits and to Katie Hall for assistance in the field. We also thank the Environment Team at QMM Rio Tinto for their assistance and provision of logistical support on-site and acknowledge their helpful staff, especially Jean-Baptiste Ramanamanjato, Johny Rabenantoandro, Faly Randriatafika, Laza Andriamandimbiarisoa, David Rabehevitra, Claude Soanary, and Robertin Ravelomanantsoa. We are grateful for the generous financial support and field gear provided by the American Society of Primatologists, Conservation International’s Primate Action Fund, IDEAWILD, Mohamed bin Zayed Species Conservation Fund (Project Number: 11253008), Primate Conservation Inc., and the Primate Society of Great Britain/Knowsley Safari Park. This study complies with Malagasy and German regulations regarding the ethical treatment of research subjects. All research was carried out under the Accord de Collaboration among the University of Antananarivo and the University of Hamburg. Research protocols were approved and permits authorized by Commission Tripartite of the Direction des Eaux et Forêts de Madagascar (Autorisation de recherché No. 240/12/MEF/SG/DGF/DCB.SAP/SCB du 17/09/2012), adhering to the legal requirements of Madagascar.